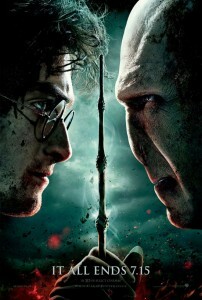 ‘Harry Potter and the Deathly Hallows: Part 2’ Opens July 15! Enter to Win Passes to the St. Louis Advance Screening! Are you a huge Harry Potter fan? Can’t wait to see the conclusion to the blockbuster series? Well, ReviewSTL is giving you the chance to see ‘Harry Potter and the Deathly Hallows: Part 2’ at the St. Louis advance screening! In order to enter the contest, become a fan of ReviewSTL on Facebook and suggest ReviewSTL.com to all your friends (click the “suggest to friends” link on the left side of the page). Then upload a picture of yourself dressed as your favorite character from the ‘Harry Potter’ franchise, and upload it to the ReviewSTL fan page! NO PURCHASE NECESSARY. PLEASE REMEMBER TO READ THE RULES! SCREENING IS MONDAY, JULY 11.